More than 95% of the world’s production of olive oil (about 870 million gallons) comes from the Mediterranean region. The olive fly is an ancient pest mentioned in Greek and Roman writings dating back to the 3rd Century B.C. 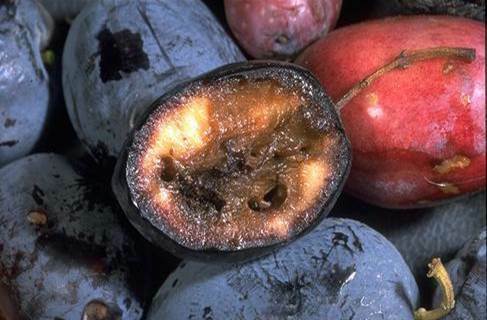 In heavily infested orchards more than 90% of the olives may be attacked. The larvae consume pulp which results in a reduction of oil quantity by 20-25%; the quality of the oil is also lowered. Oil obtained from olives infested with the olive fruit fly has 50-60% higher acidity. Exit holes made by larvae allow for the development of bacteria and fungi. Acidity is increased by fermentation through the action of bacteria and fungi and oxygen exposure. The larval gut contents may have an effect on the flavor of the oil and lead to a so-called “wormy smell”. 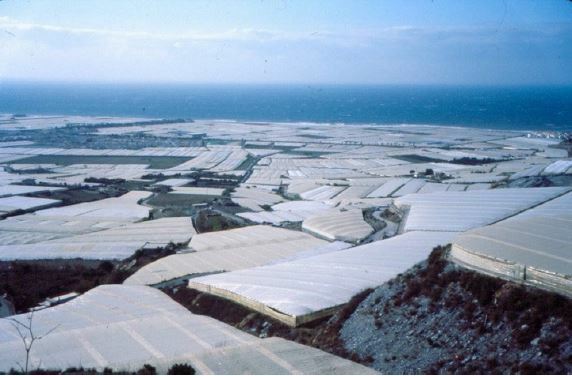 In the 1960s, the availability of inexpensive chemical insecticides made it possible to protect the olive crop efficiently from the olive fly. Several countries such as Spain and Greece have government-sponsored programs that provide area-wide spray programs. Authors: Bengochea, P., et al. Affiliation: Universidad Politecnica de Madrid, Spain. Title: Insect growth regulators as potential insecticides to control olive fruit fly (Bactrocera oleae Rossi): insect toxicity bioassays and molecular docking approach. Source: Pest Management Science. 2013. 69:27-34. Medfly females lay their eggs inside many different fruit and vegetable crops, including oranges. When the eggs hatch, small Medfly worms begin eating inside the fruit. 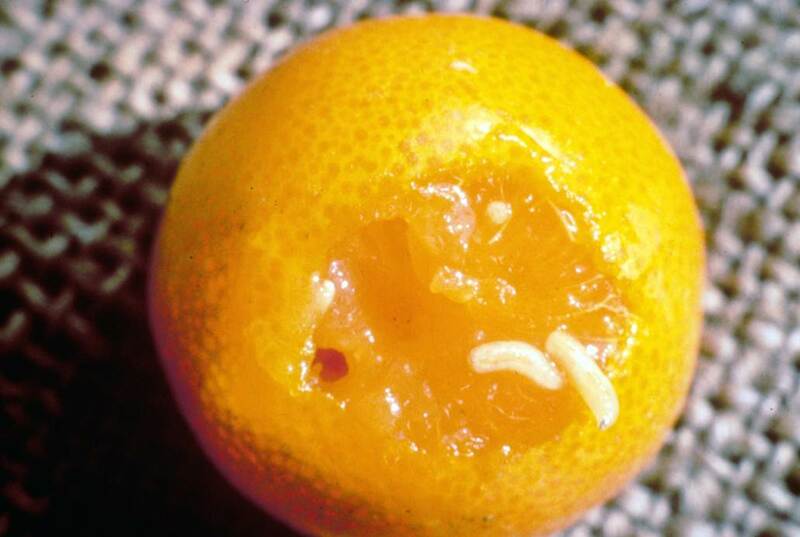 In order to keep Spain’s oranges free from these worms, growers have to spray. (2)”The Mediterranean fruit fly is one of the most serious pests affecting cultivated plants in the world… Its life strategy includes changes of host species throughout the year, because larvae develop inside fruits only when they are mature. 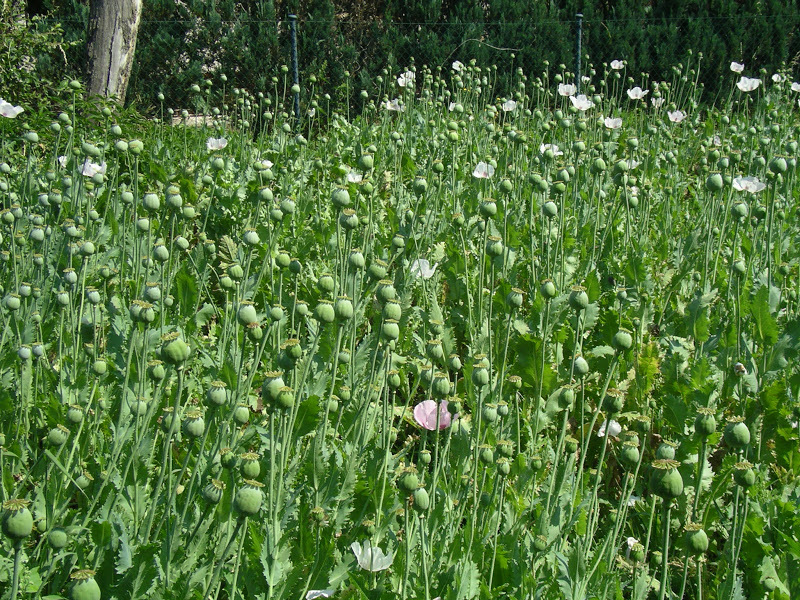 Title: Resistance to malathion in field populations of Ceratitis capitata. Publication: Journal of Economic Entomology. 2007. 100(6):1836-1843. Authors: Martinez-Ferrer M.T., et al. Affiliation: IRTA Amposta. Ctra. de Balada, km. 1. 43870 Amposta (Tarragona). Spain. Title: Seasonal and annual trends in field populations of Mediterranean fruit fly, Ceratitis capitata, in Mediterranean citrus groves: comparison of two geographic areas in eastern Spain. Publication: Spanish Journal of Agricultural Research. 2010. 8(3):757-765. Spain is a major producer of fresh oranges which are consumed throughout Europe. 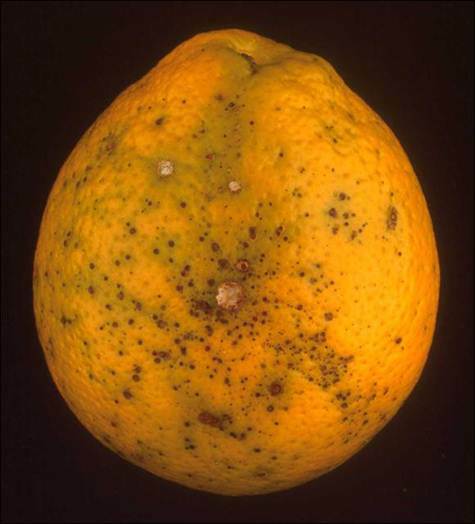 Disease infections in the citrus orchards can result in spots on the orange peel with no damage to the fruit inside. However, consumers will not pay top price for spotted oranges making fungicide use necessary. Title: Rain fastness and persistence of fungicides for control of Alternaria brown spot of citrus. Publication: Plant Disease. 2007. 91(4):393-399.